Angel Bay Crafting Hearts: Artbooking...Close to My Heart style!!! Artbooking...Close to My Heart style!!! 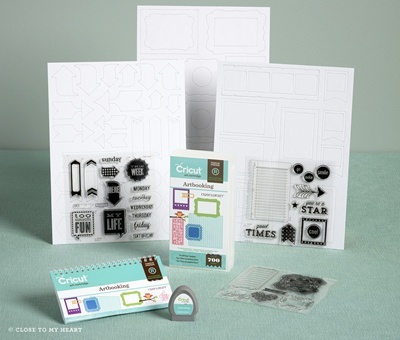 Our newest Cricut® Collection, Artbooking, brings a whole new way of scrapbooking to your fingertips! Close To My Heart has done it again - revolutionized the way we scrapbook...we can now Artbook! It definitely keeps in line with our Faster. Simpler. Easier.® way of doing things. This wonderful new cartridge is available on 1 August for purchase. Just like our other 2 cartridges, it has 700 images and comes with 3 D size stamp sets and 3 12x9 Dimensional Elements sheets that coordinate with the images you can cut out with the cartridge. All this for only $99.99! If you would like to pre-order, just contact me and I can help you with that so that it will ship out to you first thing on the 1st! This adorable mini album is one of the many fabulous projects that are included on the cartridge! FINAL REMINDER . . . July's AWESOME deals . . .
Canvas Art Kit WOTG 50% off!!!! !